In an order to provide the best solution of clamping solutions to our patrons, we are engaged in offering Mild Steel Worm Drive Hose Clamp. The offered hose clamps are used for the purpose of eliminating hose abrasion and damage under the clamp. In addition to this, the offered hose clamps increase hose life. The combination of high clamping pressure with low tightening torque ensure ease of operation. 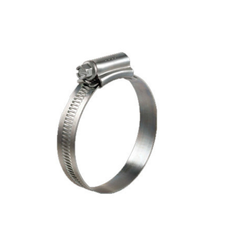 We provide the offered hose clamps in zinc plating that improves their resistance to corrosion. 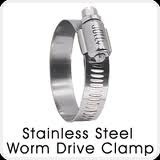 We have in store a wide array of Stainless Steel Worm Drive Hose Clamp, which is made keeping in mind the requirements of chemical, food and marine industry at our vendors' end. Our vendors design the offered hose clamp as using advanced tool to ensure their accurate design. Moreover, they manufacture these hose clamps by making use of high grade raw material to provide non throbbing surfaces on the clamp which protect the hose from damages. Apart from this, a a recommended clip can be used for smaller diameters in case of emergency requirements since the perforations on the clamps are done at extended lengths. 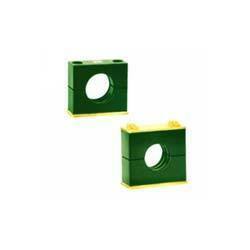 Understanding the requirement of patrons for leak proof clamp, we put forth T-Bolt Clamp. 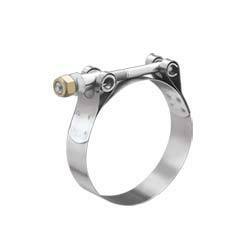 The offered bolt clamps are high are in demand as these are made by making use of high grade stainless steel at our vendors' end to ensure their resistance against corrosion and durability. Offered bolt clamps are installed in water pumps, exhaust systems of automobiles, truck and construction vehicles, coolant and air-intake systems. In order to meet requirements of the clients with the best, we offer perfectly designed Jolly Hose Clips (MS & SS). Developed with the supreme quality required basic material, these offered products satisfy defined parameters of the industry. Furthermore, keeping in mind divergent demands of the clients, we have made these products available in different specifications. 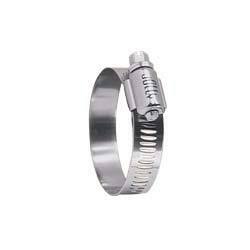 These offered hose clips provide stepless, smooth and non-throbbing surface on both inner and outer area of the clamp. Looking for Jolly Make Hose Clips & Hose Clamps ?